London (AFP) – British opposition leader Jeremy Corbyn on Thursday made his most impassioned plea for Britain to stay in Europe, saying the socialist case for the EU had dispelled his long-held suspicion of the bloc. Labour leader Corbyn, who voted against EU membership in a 1975 referendum, said he was now a supporter of the protections it offered workers, consumers and the environment. “There is nothing half-hearted about what we are doing,” he said during his first major speech on the issue ahead of a June 23 referendum that polls show could go either way. “A vote to stay in is in the best interests of the people of this country,” added the 66-year-old, who said he had held “lengthy conversations” with European leaders on the EU’s contribution to social justice, the environment, climate change and trade. However, the veteran socialist admitted that he remained “very critical” of the European Union’s “shortcomings,” having previously criticised its free-market model. “The case I’m making is for remain and reform,” he said. “Europe needs to change but that change can only come from working with our allies in the European Union to achieve it,” he said. 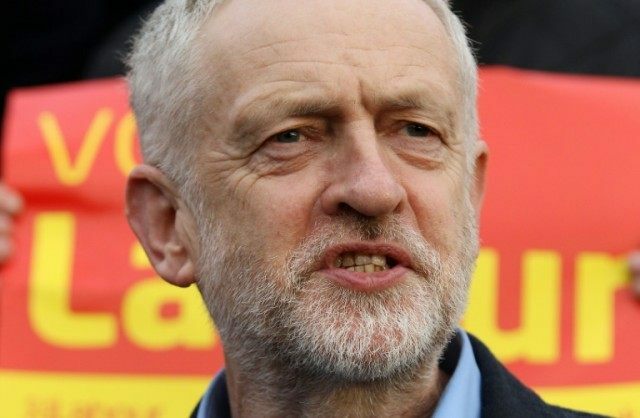 Corbyn has previously stated that Labour would support a “Remain” vote but the campaign has been criticised as lukewarm at best, reflecting his lifelong antipathy towards the European project. Hinting at the political calculations afoot — rather than outright support of the union — Corbyn said that he had changed his mind on the EU because “the Labour Party and the trade unions have come to the view that they want to campaign for a just Europe”. “Labour is not going to fight a big campaign and is not going to spend any money on this campaign,” said Simon Hix, professor of European and comparative politics at the London School of Economics. Hix said that if Labour performs badly in regional elections next month, they may “not fight any campaign at all” for the referendum since such a setback would reflect anger at an influx of European workers into Britain. Cameron has mocked Corbyn as a far-left relic since he took over the Labour Party last year, but is now in the unusual position of needing his rival’s help to salvage his reputation. “If this referendum is going to be won by the government, it’s essential that Labour mobilise its voters to turn out actually to vote,” Sara Hobolt of the European Institute at the LSE, told AFP. A Brexit would be disastrous for Cameron’s reputation, but the prime minister has suffered from a row over his tax affairs, leading to a tightening in polls ahead of the vote. Corbyn, who appeals more to young voters, is now more trusted than the prime minister on the EU, according to a YouGov poll published in the Times on Thursday. The same poll also showed the “Remain” and “Leave” camps tied at 39 percent, with 22 percent undecided. Cameron’s official spokeswoman said Corbyn’s speech revealed there were “a number of people from different backgrounds — be they political, from business backgrounds, from different walks of life — coming out and setting out why it is in the interests of the UK to remain in the European Union. “The prime minister thinks it is important that people hear those arguments, because we will be stronger, safer and better off if Britain remains in the EU,” the spokeswoman said.